Last night we had our dinner inspired by a few American States. If you remember, we came up with this idea during the International dinner with had with our neighbors a few months ago. Each couple drew a U.S. State and a course. 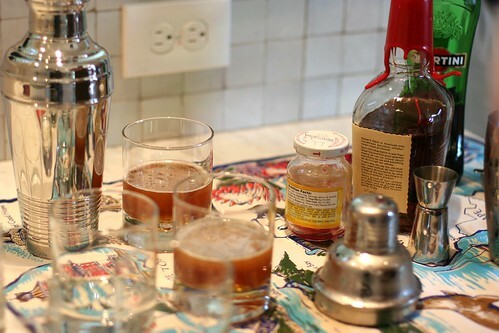 Each course had to have a drink to go with it. Bryce and I drew appetizer and New York. 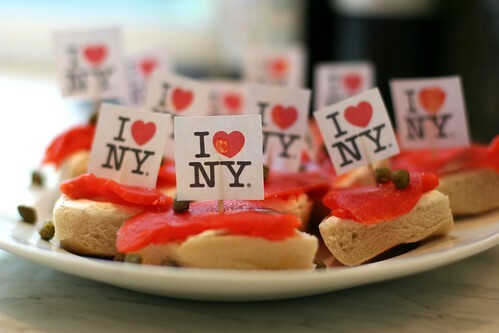 Bagels with a schmear of cream cheese, topped with lox and capers served with a Manhattan. 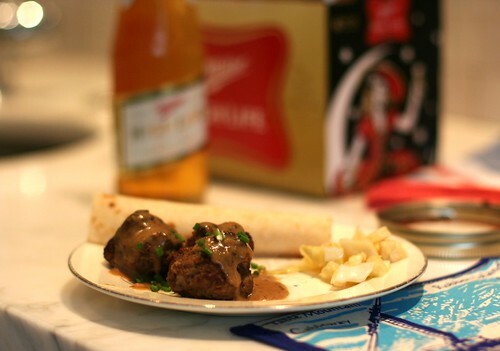 Swedish meatballs, lefse, and picked cabbage served with the Champagne of beers, Miller High life. 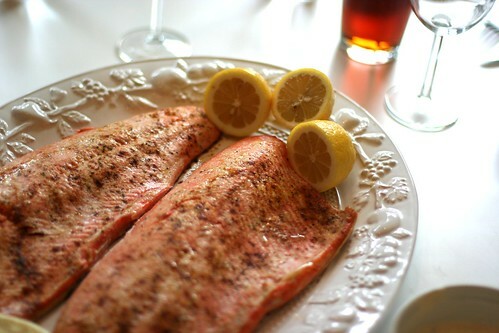 Gorgeous Coho salmon served with Alaskan Amber beer. 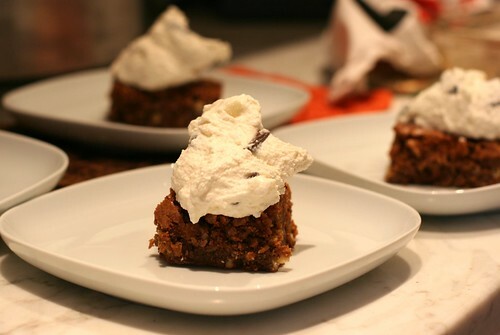 Nut squares (a family recipe) with homemade vanilla and Ghirardelli Chocolate ice cream served with wine. As you can imagine we're all still digesting . . . I am hungry now. I know you said you are going to be in Luexburg this summer how long are you staying. I will be in Seattle toward the end of August. Can't wait to try the cupcakes from the place you recommended. I love this "Stately Dinner" idea!